Dragon Speak Naturally Voice Recognition Software is a software program which can be loaded onto a computer at home or school. It allows a user to speak into a microphone and have the computer produce their words as text on the computer screen. This text can be entered into a word processing program such as Microsoft Word or Wordperfect, or into other applications such as Outlook or Excel. The software is produced by Nuance.This is the latest version of the Dragon Naturally Speaking product, and it is available in a range of options, including standard, preferred and professional. Users generally sit at their computer wearing a headset with an adjustable microphone in front of their mouth. They speak normally into the microphone, and their words are then transferred into written text on the screen. Voice commands can be used to control the various functions of the program, such as telling the program to 'wake up' or that a user wants to 'spell' a word letter by letter. To use Dragon Speak Naturally Voice Recognition Software, there is an extensive set up phase which is required. This can be an issue for some students, as the software needs to 'learn' the voice of the user in order to create a voice file to allow spoken words to be recognised. A new user reads a passage of text aloud into the microphone, which can take five to 10 minutes to complete. The software also checks for audio quality, and some adjustment of the headset and microphone may be needed. Once a voice file has been created, a user can begin using the program to enter text. Over time, the program will learn how the user speaks various words, providing the user trains the program whenever it makes an error of word recognition. Student – software compatibility – trial the program with the student, and check that it is going to meet their goals and improve their learning situation. Some students find the software too difficult to use, or struggle with the initial reading requirements for setting up the new user voice files. Computer hardware and equipment – check that you have a computer which is able to adequately support Dragon Speak Naturally Voice Recognition Software. Nuance lists the hardware requirements for using Dragon on their website. 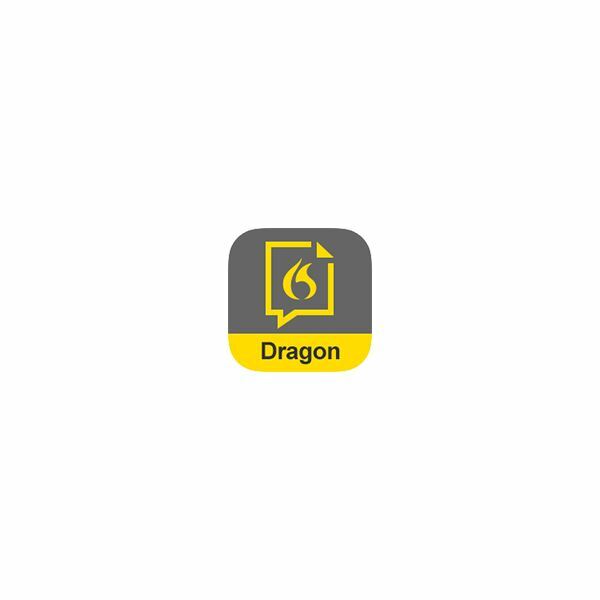 Cost – weigh up the cost of buying Dragon, versus the possible benefits of that money being directed towards other student resource materials. Student voice characteristics – to use Dragon well, you need a clear, fluent reading and speaking voice. Errors are created with 'umms' 'ahhs' and mumbled words. A student who cannot speak clearly, or who has a voice which changes from time to time (such as with a cold, or as a feature of a disability) may struggle to use the program easily. Frustration – the program takes a while to learn, and it can be tedious to be correcting errors constantly if the program does not write the word that has been spoken. Students who get frustrated easily may not manage the initial stages of learning the program. There are many advantages for students in using the Dragon Speak Naturally Voice Recognition Software, particularly if care is taken to match the program with the right student group, and if training and ongoing support can be provided within the school setting. Typing speed – for many students, their typing speed is quite slow, and can be a limiting factor in producing written work. If speech is faster for a student than keyboarding, Dragon may allow them to produce written work more quickly. For other students, there may be more advantage in building typing speed and accuracy than there is in using a voice recognition program. There are typing skills programs which can be useful in this situation, such as at TypingTest.com. Prevents fatigue and may assist with RSI issues – some students become fatigued if they need to enter a lot of text. Using Dragon can help manage fatigue, and may also help reduce the chance of a repetitive strain injury (RSI). This can be particularly useful for students producing long essays, or completing extensive editing or reporting tasks. Teacher experience in using this product.